Yesterday started Splitcoaststampers annual Dare To Get Dirty challenges. I'm honored to be an alumni of the Splitcoast design team (aka the Dirty Dozen!) and made this sample for one of the challenges today -- Edna Morrisedie's which you can find HERE if you are a Splitcoaststampers Fan Club Member. You must be a Fan Club Member in order to see and participate in the challenges -- you can find details about the Fan Club HERE. After coloring, I thought the colors were a bit too bright (shown on the left), so I toned them down by using Copic W1 over the top (right globe). I framed the globe with the 2" round JustRite sentiment, stamped onto Gina K's Pure Luxury Ivory cardstock and die cut with Spellbinders Labels Sixteen. I die cut a circle out of the center and popped the sentiment up over the globe. Some lace and seam binding bow tied with a button finish this 5.50" card. I hope you'll visit Splitcoaststampers and participate in one of these fun challenges this week -- they through Friday, August 5! I'll be busy stamping the next few days -- Gina K's sneak peek and August release party is Tuesday, August 2, so I hope you'll check back for that! I stamped the pears with Memento Tuxedo Black ink onto an Inchie Arts Ivory Twinchie Square and then colored with the Copic markers listed below. Here's a step-out of how I colored the pears. And then used YG03 to blend the darker YG63 into the rest of the pear. I really like the depth of color this gave the pears. Next, I used my 0.1 Copic Black Multiliner to add a table/horizon line to the Twinchie and finished coloring with the entire image. I placed a black layer behind the Twinchie Square of Gina K Designs Pure Luxury Cardstock Black Onyx and then mounted that to Gina's Fresh Asparagus cardstock die cut with Spellbinders Labels Three Nestabilities. Inchie Magnets mounted to the back finish off my refrigerator magnet! I'll be back tomorrow with a sample I created for Splitcoaststampers Dare To Get Dirty challenges that started today! Hello! I'm back again today with another Twinchie refrigerator magnet ... I told you a felt a series of these coming on! Speaking of Copic Markers, there are only a few days left in July that you can still purchase Copics at the current pricing. On August 1 the MSRP of Copic markers goes up, but until then you can still get current pricing at Ellen Hutson LLC! And while you're there be sure to check out the tool category, where everything is automatically 20% off (no code needed, until the end of today, July 28) ... including the ruler I used and mention below! Next, I couldn't bear to not use the whole image on my magnet, so I trimmed the image into approximately a 1-3/4 inch square around the image so it would fit onto my Inchie Arts 2-inch Twinchie Square! Next, I did some faux stitching on the image, using Tim Holtz's Design Ruler and a paper piercer, and then connected the holes with Copic's Gold Atyou Spica Glitter Pen. I used Copic G24 to color the edges of the white Twinchie Square and then mounted my trimmed out image to the Twinchie. Gina K's Sweet Corn cardstock die cut with Spellbinders Lacey Square Nestabilities frames the image. The thickness and weight of the Twinchie matboard gives the magnet good stability. Of course, on the back of the image/cardstock are Inchie Magnets to hold it on the refrigerator! It's almost that time, isn't it? Kids will be going back to school before we know it and Karen Lockhart's apples reminded me of that! I tried my hand at a new (for me) artform recently, Zentangle. It's basically just doodling within a stamped image and was TONS of fun! I hope you'll join me today in Ellen Hutson's CLASSroom to see how easy it is -- you'll find all the details about this card there! Copic Coloring Guide Giveaway Winner, Copic Updates & A Birthday Card! "Sharon those apples look positively EDIBLE and delicious!!!! Let's see....I guess flowers and fruits....and adorable animals are my favorite images to color right now!!" I know you will enjoy the book and your journey into the world of color! Please email me with your mailing address so I can get the book out to you right away! For those of you who didn't win -- don't worry, you can purchase the book HERE at Annie's Attic or at many of your local stamp and scrapbooking stores. For those of you who REALLY want a signed copy, Marianne and Colleen will be doing a book signing at the Super Show portion of CHA on Friday, July 22 from 9:30 am - 12:00 pm. Bring your book or buy a copy there! And speaking of CHA . . .
COPIC CERTIFICATION CLASSES have been updated on my Copic Certification Class page. Please note that both Standard and Advanced Certification classes are being offered in Chicago before CHA so if you plan on being there, you can also sign up to take a Certification class while you’re there! Visit THIS PAGE to download class details and applications. OTHER NEW COPIC NEWS: Just this morning a brand new, fun Copic website was launched . . . CopicColor –- Copic’s new online color community! You can find a welcome video HERE, that tells you all about the new FREE site! You can post your Copic creations in your own gallery and keep up with all of the Copic colors you own or want … all accessible even on your mobile device, so you can always have your lists with you at all times! Check out what all it has to offer –- I know you’ll love it! This is for my husband’s dear sweet aunt, whom we visited last month and who reminded me that she always loves receiving my handmade birthday cards! It’s such a pleasure to create for those who truly appreciate! Her yard is full of gorgeous, lush gardens, and this pretty garden gate reminded me of her. The centers of the flowers were all accented with Orange, Lemon and Pink Copic Atyou Spica Glitter Pens. I airbrushed the white doily with Copic Y21, so it would stand out against the white square die cut background and add some “sunshine” to the card! Welcome to the Copic Coloring Guide Blog Hop! I was so honored to be asked to contribute to this fabulous coloring guide! The contributing designers have information about the new book, beautiful coloring, stunning card projects, and BLOG CANDY for you today! The Copic Coloring Guide is a new book by Colleen Schaan and Marianne Walker. It's the perfect resource for beginner and intermediate coloring artists alike. The book contains information about the different styles of Copic markers, explains the coloring/numbering system, details how to choose good blending groups, teaches a number of blending techniques through illustrated tutorials, and de-mistifies the colorless blender marker. And that's just in the first 18 pages! The book also contains over 40 beautiful coloring card projects separated into beginner, intermediate and advanced skill level. Each card project includes step-by-step coloring AND assembly instructions, along with supply lists and manufacturer information, to make recreating the projects simple and easy. One of my very favorite Lockhart Stamp Company images -– Apples in Chintz Bowl! You'll find the full details and project list on how to create this card in the book. How would you like to win an AUTOGRAPHED copy? Each of the contributing designers is hopping today and each one is giving away a copy of the book signed by both authors AND the designer! To be eligible to win, please leave a comment on THIS post telling me your favorite type of images to color -- i.e. people, landscapes, florals, etc. Giveaway will close at midnight Central on Saturday, July 9, and my winner will be announced here on my blog on Monday, July 11. Make sure to visit each of the designers blogs to see their favorite project from the book and for a chance to win your own autographed copy! Good luck and thanks for visiting today! Gina K June Release Inspiration Hop 1! The Vine – Illustrated by Melanie Muenchinger: What a wonderful set this is, to also compliment many of Melanie’s other floral stamp sets! I love that you have different floral elements in this set, to combine however you wish! So keep in mind that you can also use any of Memento’s colored inks along with your Copics – they work just as well as the black and brown! Our second stamp set today is All Occasion Tags – Illustrated by Tami Mayberry. This is a fabulous sentiment and tag set that will have you covered for ANY occasion! It was simple and quick to make this set of cards -- I just stamped all of the tags in Memento Tuxedo Black ink onto Gina’s White Pure Luxury Heavy Base Weight cardstock, then stamped several sentiments with other Memento colors that coordinated with my notecards! A little ribbon and a few colored rhinestones dress up the cards and tags a bit. The tags are all adhered with Pop Dots. And what makes them REALLY quick, is that the tags match Spellbinders Grommet Tag dies! With TWELVE different sentiments and FOUR different tag designs to choose from, you can make a set of cards for any occasion in no time at all! Now isn’t that better than just having a set of dollar bin printed cards that all say “Thank You”?!! I’ll be back tomorrow with a fun COPIC surprise! It's a canvas wristlet to hold her iPod Touch and earphones! 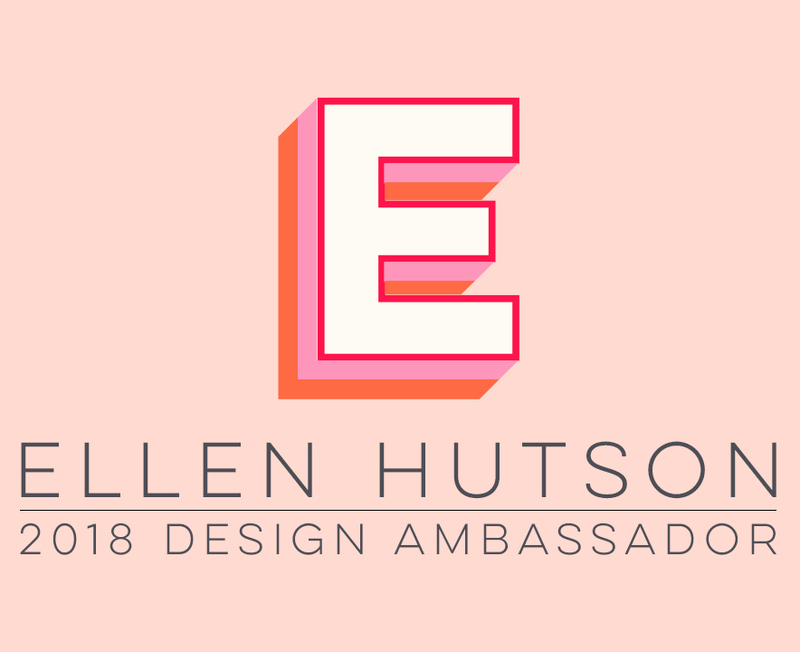 You can find all the details and product information over at Ellen Hutson's the CLASSroom today . . . I hope you'll join me! It's a quick and simple project that even your pre-teen or teen could make themselves! Remember, the Gina K Design Team will be back tomorrow with the first of our June Release inspiration blog hops -- we hope you'll join us! I hope you enjoy the holiday today ... and be safe!